Hope Bennett Skaggs was born and raised in Brunswick County. Dance and creative movement has been one of her biggest passions since she was a child. She competed locally and regionally for 20 years. After graduating high school she moved to Wilmington, North Carolina where she received an associate’s degree in sociology at Cape Fear Community College. She then moved on to the Art Institute of Charleston to study film and studio art. Hope returned home the summer of 2016 following the death of her father. Aerial yoga became an essential part of her life when she realized the impact it had on her healing. Highly inspired by this type of practice, she attended an Anti-Gravity® teacher training in NYC. 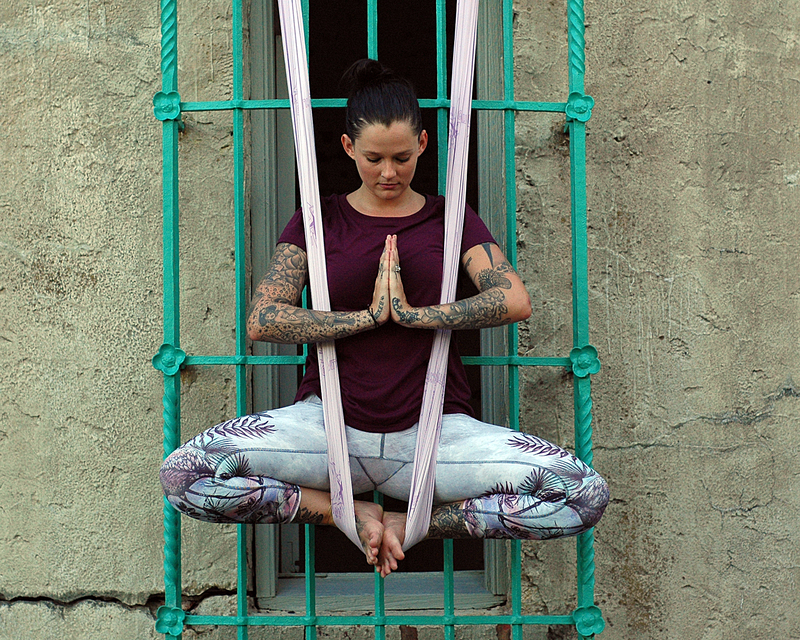 It is her intention to help others find joy and healing, the way aerial yoga has helped her, as well as introducing a new, fun and unique form of exercise! Hope is certified by AntiGravity Fitness® and the Aerobics and Fitness Association of America.